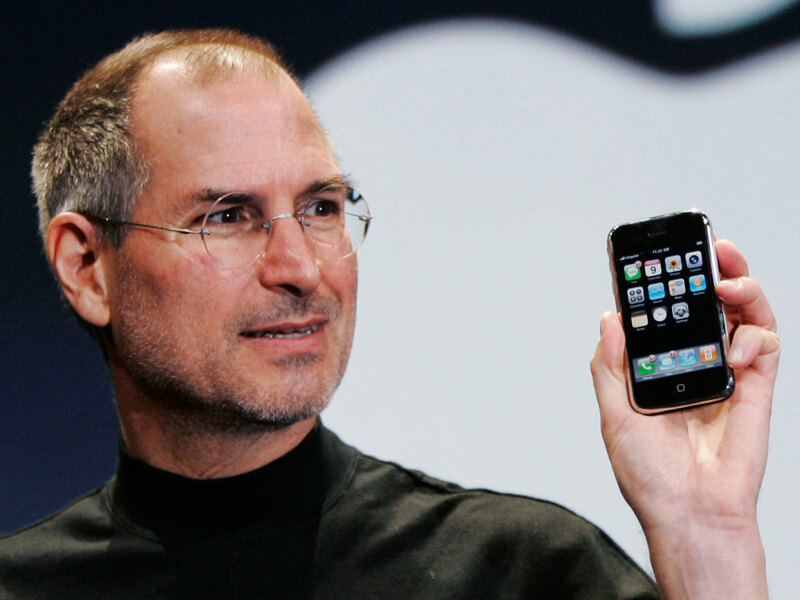 'The man who put the world in the palm of your hand': Steve Jobs became as the 'Godfather in new technology at Apple Inc. Corp. - who presented during the past few years in respective: the Apple Computer, the iPod, the iPhone, and the iPad. Jobs was diagnosed for pancreas cancer 8 years ago. He was really easy going - looking at his thumb, flexible and flat tip and that index finger is unusual but a fine example of his ambitions. CEO's of big companies are usually not known for being 'easy going'. And the same appears to be true for Steve Jobs, who is said to have fired people with the argument that they were not able to tell him - during passing by - what value they added to the Apple company, etc. It think he was a man focussed on competing & high standards... a critical idealist, who became successful in the field of 'technology design'. Most of the time he said 'no' to the initiatives of others (sometimes even at a stage where the product was about to arrive in the stores). So, often people could not meet his (Budhistic) life standards! The link was interesting, but I still think, even though they say he had issues, that these so called personality flaws were exactly what got him his success. I don't believe anyone really succeeds unless they have some super drive and determination, and this unfortunately comes with some flaws, which are often not very nice. 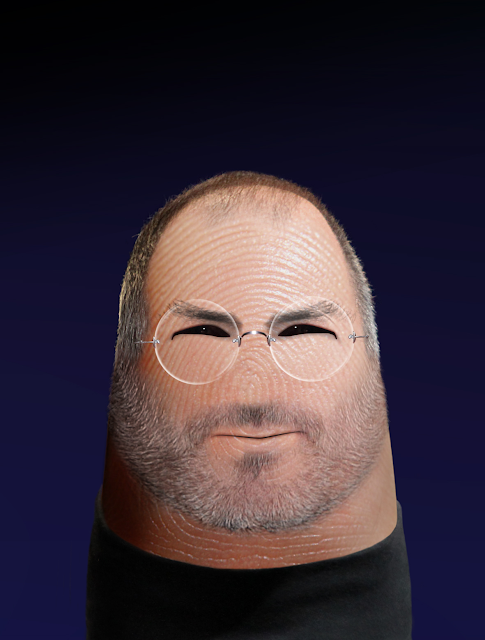 In my opinion, his thumb still shows that he is not overly arrogant and was actually quite generous. "Philanthropy - Bloomberg accidentally published Jobs' obituary in 2008. Arik Hesseldahl of BusinessWeek magazine opined that "Jobs isn't widely known for his association with philanthropic causes", compared to Bill Gates' efforts. After resuming control of Apple in 1997, Jobs eliminated all corporate philanthropy programs." These reports sounds like Steve Jobs is actually scoring relatively 'low' in terms of philanthropy - especially since he is known to be in the TOP 50 of wealthiest Americans: "Forbes estimated his net wealth at $8.3 billion in 2010". Jobs has also been known as a 'perfectionist', who's management style was 'agressive and demanding'. Of course, he was in the position to make acts of 'generosity' at some moments in time... but that became never really a significant issue in his life. So it appears to me that he usually had other things on his mind than generosity, he was much an 'argumentative' type of guy - who's interest was much more focussed on technology (& public speaking). Ditology fingerprint art, including Steve Jobs + many other celebrities!